Yeah... it does rather doesn't it! The good news is, only 4 more months and he won't be president of my country anymore! 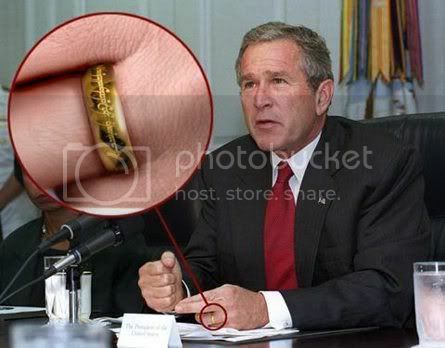 Now all we need is a picture like that of John McCain wearing the ring.